Home / Chelsea FC / Eden Hazard / liverpool / Mo Salah / Salah or Hazard? Football fans will endlessly debate the merits of this player or that club, this tactic that fanbase! And why not? Being obsessed and unreasonable is what being a supporter is all about, otherwise we would have no loyalty, no passion and football would be played in a dull, sterile environment. 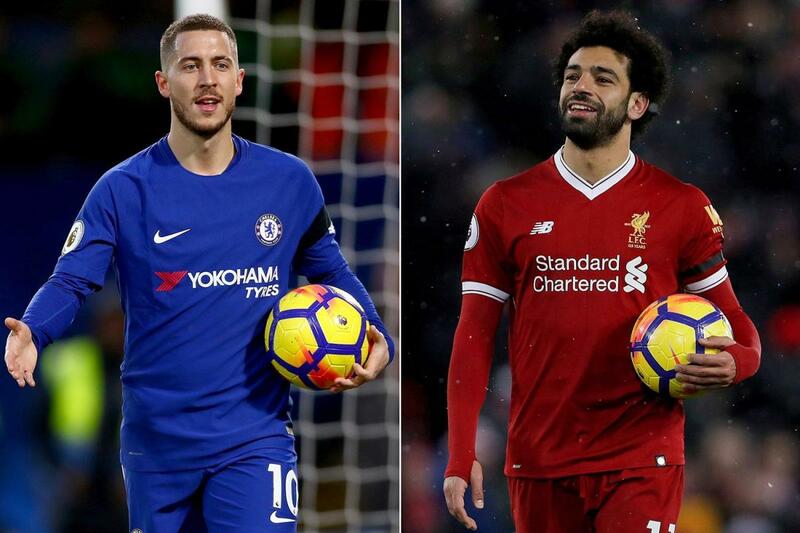 This season's hot potato is who is the better player Hazard or Salah? Firstly it is only fair to point out that the Chelsea and Liverpool fan bases don't like each other. The poison from the Mourinho/ Benitez days, the ghost goal and the Gerrard slip still lingers. The two players play in similar positions, Hazard as a right footed attacker playing on the left side and Salah as a left footed attacker playing on the right wing. That, however is where the similarities end. The two players are poles apart in terms of style. Eden Hazard is a much more traditional, tricky winger. He is though, definitely a product of modern football, he isn't looking to get to the byeline and whip crosses in. He wants to draw defenders to himself and then slip team mates in or beat his man and get a shot off. Hazard is unbelievably talented, not lighting fast but good pace, brilliant two footed close control and plenty of tricks. His low centre of gravity and physique make it almost impossible to get the ball off him. My only criticism of him is that he can be too elaborate, he can at times keep the ball too long, beating his man over and over without going anywhere. If he could learn to be a bit more direct, a bit more decisive he could easily be a Ballon d'or contender his ceiling is so high. In essence then, I guess what I'm saying is you can't compare the two players you just have to decide which one you would prefer in your team. Personally I would take Salah, I feel he offers more end product. Ideally, though I would want them both, Hazard and Salah in the same team would be electric!